Saturday, Feb. 16th for the holiday weekend. 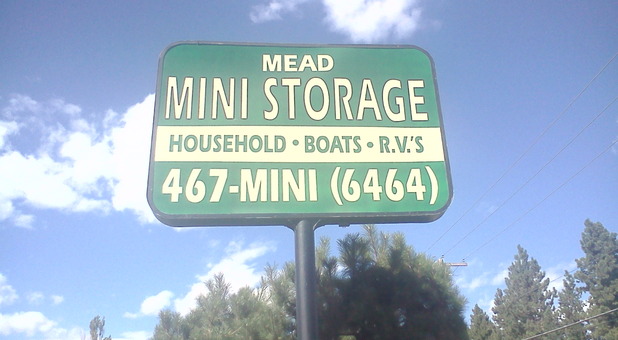 For a hassle free yet affordable self storage experience, choose to store with Mead Mini Storage. 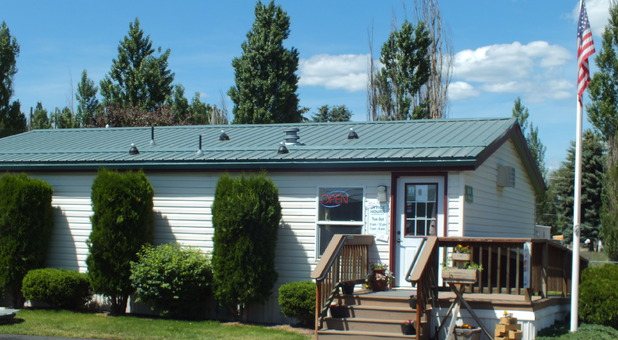 We proudly serve residents in the Mead, Colbert, Fairwood, Country Homes and North Spokane, WA area. No matter your self storage needs, we are here to help. 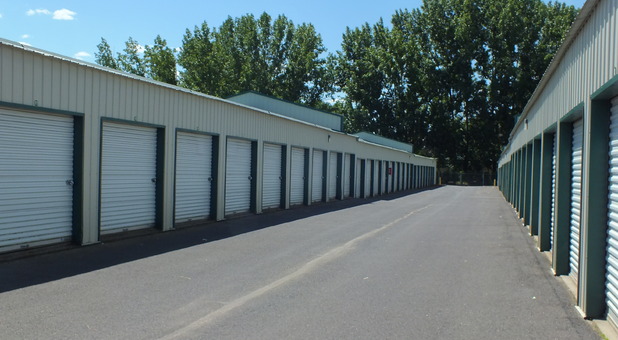 We have storage units available in 5x10, 10x10, 10x20 and 12x40 as well as outdoor parking spaces. All of our self storage options are ground level and easily accessed; you can drive right up next to them for a simple loading and unloading process. Take advantage of our extended daily access hours! You can stop by and retrieve your vehicle or a belonging out of your unit any day of the week from 5:00 a.m. until 10:00 p.m.; we make it simple to grab your favorite items when it's convenient for your busy schedule. Our storage spaces are the safest around; we go above and beyond our competitors to ensure the protection of your belongings. 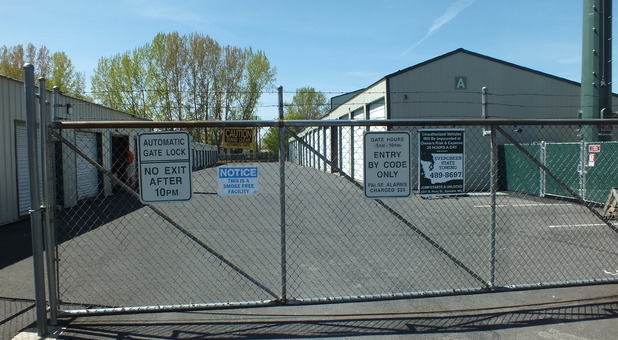 Our entire storage facility is surrounded by an electronic gate that is topped with barbed wire. We also have managers who live onsite. Stop by or call our facility today, and be sure to ask about our current move-in specials. West on E Indiana Ave. toward S Mirabeau Pky. Merge onto I-90 W toward Spokane (via ramp on left). Take exit 287 (Argonne Rd). Turn right onto N Mullan Rd. Turn left onto E Bigelow Gulch Rd. Stay straight to go onto E Francis Ave.
Take the 3rd right onto N Market St.
Mead Mini Storage is on your left. Turn right onto N Progress Rd. Turn right onto N Forker Rd. Take the 2nd left onto E Bigelow Gulch Rd. Turn right onto N Argonne Rd. Turn right onto N Market St.
Start out going north on W Airport Dr. toward S Flint Rd. Merge onto I-90 E via the exit on the left toward Spokane. Take exit 281 (US-395 N/US-2 N, toward Newport/Colville/Spokane Arena). Turn slight left onto S Division St/US-2 E/US-395 N (Follow US-2 E/US-395 N for 6 mi.). Turn slight right onto US-2 E/N Newport Hwy (Wendle Ford Car Dealership on your Right). Turn right onto E Hawthorne Rd. Stay straight to go onto E Parksmith Dr.
Take the 1st left onto N Market St.
Start out going northeast, toward N Assembly St. Turn left on to N. Assembly St. Turn right onto W Winston Dr. Turn right onto WA-291/W Francis Ave.
Head west on E Greenbluff Rd toward N Day Mt Spokane Rd. Take the 1st left onto N Day Mt Spokane Rd. Turn left onto N Bruce Rd. At the traffic circle, take the 1st exit ontoWA-206 W/E Mt Spokane Park Dr. Turn left onto N Market St.
Mead Mini Storage is on your right. Great customer service, great prices!! All rent is due on the first of each month. NO REFUNDS are guaranteed, and NO PRO-RATING of rent paid are due upon move-out. Rental Agreements with Lyons Self Storage are on a month to month basis requiring a minimum term of one (1) month, commencing on the “DATE OF MOVE-IN” as stated on your lease. Provided the Tenant has given the required twenty (20) day written notice to vacate their storage unit(s), and verified it’s vacancy in accordance with their lease (agent of Lyons' Storage will verify the unit is emptied out, cleaned, swept and the lock is removed), a refund may be issued for fully pre-paid month(s), less any discounts assessed. Any applicable refund checks will be mailed via USPS within twenty (20) days of verified move-out.